Over the last few months I have been making an effort to eat a clean diet (aside from a few cheat days!) and exercise. While making better food choices hasn’t been a problem, sticking to an exercise regime has proven to be a bit more difficult. I have found that my issue with exercising is not the act itself, it’s making it a part of my daily schedule. I think that if I treat exercise as another aspect of my day, like lunch or checking my email, I will stick to it. So, along that vein, I will be utilizing monthly challenges to assist me in my fitness goals! 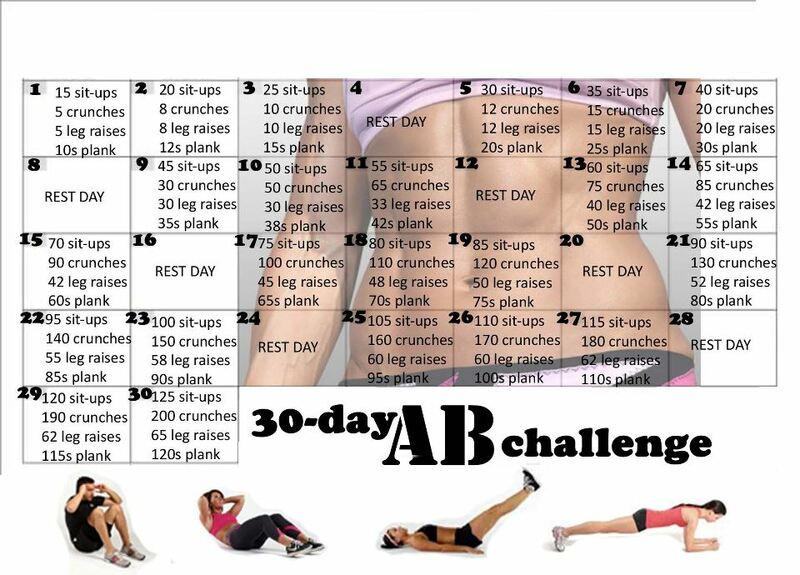 Since bikini season is near, I figured an ab challenge would be a great start. Today, May 1st, will be the 1st day of the challenge. Do you have any fitness challenges? How do you get/stay in shape?